‘Australia and China in the World’, The 70th George E. Morrison Lecture, Hon. Kevin Rudd, 23 April 2010, Chinese translation by Barmé and Sang Ye with others, ‘ “Aodaliya Zhongguo yu Shijie”, zai di 70 ci Molixun jiangzuoshangde jianghua’ (‘澳大利亚中国与世界’: 在第70次莫理循讲座上的讲话’), online at: http://www.china.embassy.gov.au/bjngchinese/pmspch2010.html. For the English-language original, see: http://pmrudd.archive.dpmc.gov.au/node/6700. ‘Thirsty Dragon at the Olympics’, Dai Qing, The New York Review of Books, lead story 6 December 2007, Vol.54, No.19, pp.1-2. Online at: http://www.nybooks.com/articles/20850. Sang Ye, ‘Beam me up’, Humanities Research, 2, 1999, ‘Asia and Modernity’, pp.71-78. Sang Ye, ‘Consuming Habits’, Meanjin, vol.57, no.3 (1998:3), pp. 615-622. Feng Mengbo, ‘My Private Album’ (from the CD-Rom of the same name), Grand Street 63 (Crossing the Line), vol.16, no.3, p.27. Sang Ye, ‘Unfair Competition—a Chinese athlete speaks’, Heat, no.6 (1997-98): 123-138. Five interviews by Sang Ye used as catalogue entries in Evolution & Revolution: Chinese Dress 1700s-1990s, edited by Claire Roberts, Sydney: Powerhouse Museum, 1997:’A revolutionary dressing down’, pp.44-45; ‘Making foreign things serve China’, pp.46-47; ‘Patriotic rag wool’, pp.47- 48; ‘A pretty face’, pp.49-50; and, ‘Comrade lover’, pp.50-51. Sang Ye, ‘Fringe-dwellers: Down and Out in the Yuan Ming Yuan Artists’ Village’, translated and introduced by Barmé, Art AsiaPacific, issue no.15 (July 1997): 74-77. Four chapters in Sang Ye’s The Year the Dragon Came, Linda Jaivin, ed., Brisbane: Queensland University Press, 1996. 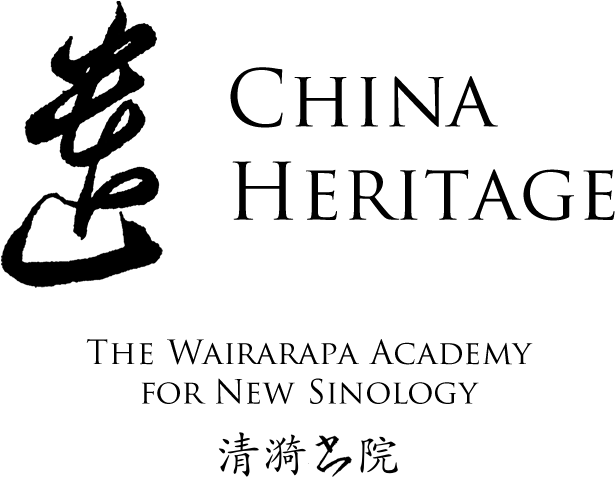 Li Xianting, ‘The Imprisoned Heart: Ideology in an age of consumption’, Art and Asia Pacific, ‘Art of the Chinese Diaspora’ Special Issue, vol.1, no.2 (1994): 24-30. Sang Ye, ‘Exhibiting the Cultural Revolution’, The Sydney Review, October 1992, p.10. Dai Qing, ‘My Imprisonment’ (an excerpt), Index on Censorship, 21 (8) (September 1992): 20-27. Guan Wei, ‘Nesting—the Art of Idleness’ (trans and edited by G. Barmé & Linda Jaivin) Island 48 (Spring 1991): 9-11. Sang Ye, ‘Are you Satisfied?’ (trans and edited by G. Barmé & L. Jaivin) Independent Monthly (June 1991); 11-12. Liu Xiaobo, ‘The Inspiration of New York: Meditations of an Iconoclast’, translated and edited by G. Barmé, Problems of Communism no.40 (January-April 1991): 113-118. Lee Yee, ‘Hong Kong Slide to Xu Jiatun Solution’, The Asian Wall Street Journal, 31 May 1990 (reprinted in The Wall Street Journal, 4 June). Lee Yee, ‘Fear and Loathing in Hong Kong’, The Asian Wall Street Journal, 20 June 1989. San Su (Gao Xiong), ‘Hong Kong: A “Performance Artist’s’ Paradise”, from Two Decades of Hong Kong Oddities, Renditions (Special Issue: Hong Kong), nos.29&30, 1988: 73-83. Yau Ma Tei, ‘1997 Rhapsody—A Prophetic Documentary Film’, Renditions (Special Issue: Hong Kong), nos.29-30, 1988: 346-353. Lee Yee, ‘Playing by Peking’s Rules’, Renditions (Special Issue: Hong Kong), nos.29-30, 1988: 316-319 (reprinted from The Asian Wall Street Journal, 11-12 July 1986). Shen Rong, ‘Snake and Ladders—Three Days in the Life of a Chinese Intellectual’, a novella translated with Linda Jaivin, in Shen Rong, At Middle Age, Beijing: Panda Books, 1987, pp.119-236. Shen Rong, ‘Not Your Average Girl’, Renditions (Special Issue: Women Writers), nos.27&28 (Spring & Autumn 1987): 158-162. Five chapters in Chinese Profiles, by Zhang Xinxin and Sang Ye, Beijing: Chinese Literature Press, 1986, pp.84-94; 261-8; 269-76; 277-85; 286-93; and one in Chinese Lives: An Oral History of Contemporary China, by Zhang Xinxin and Sang Ye, edited by W.J.F. Jenner and Delia Davin, Pantheon (New York) and Macmillan (London), 1987, pp.135-139. Wang Peigong, ‘Urbling Winter’, Renditions, 1986, no.25: 86-94. Tao Jun, ‘The Detour’, Renditions, 1986, no.25: 95-100. Liu Xinwu, ‘Black Walls’, Renditions, 1985, no.23: 39-46. Su Shuyang, ‘Loved Ones’, Chinese Literature, Autumn 1985: 109-23. Wu Zuguang, ‘Four Essays by Wu Zuguang’, Chinese Literature, Summer 1985: 64-83. Shi Hui, ‘There Was No Confucius Before Confucius’, Chinese Literature, August, 1983: 105-112. ‘Suweiai shehuide yuyan he quanli—Gebaqiefu nengfou gaibian zhege zhidu?’, a translation by Barmé and Yang Lian of ‘Language & Power in Soviet Society, A Conversation between George Urban & Alain Besançon’, Encounter, May & June 1987, Contemporary 當代, 1989:8: 128-141 and 1989:9: 100-116. Hi no tane: Chūgoku ryūshin no koe , by G. Barmé and J. Minford, translated by Karima Fumitoshi, et al, Tokyo:Gaifusha, 1989 (a translation of Seeds of Fire with additional material unique to this Japanese version). ‘China’s Flat Earth, 8 August 2008’, The China Quarterly, 197 (March 2009): 64-86. 8,000 words. ‘Beijing, a garden of violence’, Inter-Asia Cultural Studies, Vol.9, No.4 (2008): 612-639. ‘Strangers at Home’, The Saturday Essay, Wall Street Journal, 17 July 2010, online at: http://online.wsj.com/article/SB10001424052748704682604575369390660095122.html?KEYWORDS=Barmé; reprinted in East Asia Forum, excerpted in Danwei and numerous links. ‘The Long Bow Appeal’, 15 April 2009, by Barmé, Carma Hinton and Richard Gordon, online at: http://www.tsquare.tv/film/appeal-online.html. ‘The Shock of the Obvious: a Note on Jed Perl’, Art AsiaPacific, 15th Anniversary Issue, no.61 (Nov./Dec. 2008): 73. ‘Olympics come to life as a painting by Beijing and athletes’, an opinion piece for Sydney Morning Herald published on 11 August 2008 following the opening ceremony of the 2008 Beijing Olympics, and online at: http://www.smh.com.au/news/opinion/olympics-come-to-life-as-a-painting-by-beijing-and-athletes/2008/08/10/1218306657444.html Revised as ‘Painting Over Mao: Notes on the Inauguration of the Beijing Olympic Games’, published online by China Beat (University of Southern California Irvine) on 12 August at: http://thechinabeat.blogspot.com/2008/08/painting-over-mao-notes-on-inauguration.html. This was also linked to Danwei on 14 August 2008. ‘Sharing Values’, Griffith Review: In the Neighbourhood, 18 (Summer 2007-2008): 47-50. ‘The Burdens of Spoof’, The Diplomat, Vol.6, No.2 (June/July 2007): 64-65. ‘Telling Selves & Talking Others’, ArtAsiaPacific, No.52 (March-April 2007): 72-75. ‘I’m So Ronree’, an invited 5,000-word review-essay of Chang Jung and Jonathan Halliday, Mao: the Untold Story in The China Journal, No. 55 (January 2006): 128-139. Reprinted online by UC Berkeley’s China Digital Times at: http://chinadigitaltimes.net/2006/04/im_so_ronery_geremie_r_barme.php. Subsequently revised as a book chapter, published in 2009 (see under book chapters). ‘Is Taiwan the End of Chinese History?’, the Review, supplement of The Australian Financial Review, review-essay, 16 December 2005, 2000 words. ‘Dissenting from Ba Jin’, 30 October 2005, posted at various sites, including http://www.danwei.org/archives/002295.html; and, published under the title ‘A Dissenting View on Ba Jin’ in Far Eastern Economic Review, November 2005, vol.168, no.10, pp.53-55. ‘Qing Shadowland’, The Australian’s Review of Books, September 1999, pp.9-10. ‘The Great Con: Value-added Asia’, The Australian’s Review of Books, April 1998, pp.8-10. ‘A rose-coloured past’, The Australian’s Review of Books, November 1997, pp.10-12. ‘Koe naki tokoro ni kyorai o kiku: `Bunka daikakumei’ go no chugoku bungaku, and Bungaku no jiritsu o rnotomete: Konjitsu no chugoku bungaku o yomu, by Takashima Toshio, The Australian Journal of Chinese Affairs, January 1984, no.11, pp.200-203. ‘Worrying with Gloria’, 19 December 2007, book launch speech posted on Harvard University Press website at: http://harvardpress.typepad.com/hup_publicity/2007/12/worrying-about.html#more. ‘Yin & Yang: Between and Betwixt,’ in Howard Morphy and Nigel Lendon, eds, Synergies, Canberra: ANU, 2003, pp.5-8. ‘Totems that are poles apart’, in Beyond the Future: The Third Asia-Pacific Triennial of Contemporary Art, edited by Jennifer Webb, Brisbane: Queensland Art Gallery, 1999, pp.238-239. Reprinted in Beijing Scene, vol.6, issue 3, 29 October-4 November 1999. ‘Flying dragon in the sky, Draco volans est in coelo’, Cai Guo Qiang Catalogue, Humblebæk, Denmark, March 1997, main catalogue essay of 7 pages (no pagination), 3000 words. Reprinted in Beijing Scene, March 1997. ‘Taiwan: China’s Other’, Contemporary Taiwan Art, Taipei/Sydney:Museum of Modern Art, 1995, pp.66-69. ‘Reformist Baroque:Liu Dahong and the Chinese Fin-de-Millenium’, in Liu Dahong:Paintings 1986-9, Hong Kong:Schoeni Fine Oriental Art, 1992. ‘Arrière-Pensée on an Avant-Garde: The Stars in Retrospect’, in The Stars: 10 Years, Hong Kong: Hanart 2 Gallery, 1989, pp.76-82. ‘Persistence de la tradition au “royaume des ombres”. Quelques notes visant a contribuer a une approche nouvelle du cinéma chinois’, translated by Françoise Derré, Le cinéma chinois, Paris: Centre Georges Pompidou, 1985, pp.113-128. ‘A Vision of Old Beijing: Wang Daguan’s “The Capital in Late Winter”’, Chinese Literature (Summer 1984): 127-134. ‘Helicon’, Muse, no.193 (March 2000): 25. ‘The East is Read:Writers Challenged’, Australian Author, vol.31, no.2 (August 1999): 10-12, 15. ‘Paper Tigers’, Beijing Scene, volume 5, issue 25 (10-16 September 1999): 4-5. ‘Hong Kong the floating city’, in ‘Hong Kong Goes Back’ Index on Censorship, No.1, vol.26, issue 174 (January/ February 1997): 154-160. ‘Mb@Game! — A Chinese Screensaver’, Art AsiaPacific, issue 15 (July 1997): 78-83. ‘The Great Firewall of China’, with Sang Ye, in Wired, 5.06 (June 1997): 138-50 & 174-178. ‘The Fab Four and Friends Do China’ (on stained glass windows in China and their origin), Object (Crafts Council of Australia) (1995:2): 20-25. ‘Archaeotainment: Fantasy at the Other End of History’, Third Text, no.30 (Spring 1995): 29-38. ‘Xu Bing:A Chinese Character’, Australia Art Monthly, July 1993 (no.61): 13-15. ‘Liu Dahong:Artist laureate of China’s reform’, Far Eastern Economic Review, 4 March 1993, p.60. ‘Red Noise’, Hybrid (International Cross-Artform Bi-monthly), June-July 1992, p.42. ‘China: the Party has its way with history’, Index on Censorship, no.7 (1991): 12-14. ‘Culture In Exile’, The Independent Monthly, February 1990, pp.4-5. ‘Artists on a non-stop see-saw ride’, Far Eastern Economic Review, 5 October 1989, pp.71-72. ‘Stars in their day’, Far Eastern Economic Review, 26 January 1989, pp.39-40. ‘The Lazy Dragon: Chinese Culture in ‘88’, ‘China Survey’, Financial Times (London), December 1988. ‘Critics now chip away at China’s concrete eyesores’, Far Eastern Economic Review, 17 November 1988, pp.54-56. ‘TV requiem for the myths of the Middle Kingdom’, Far Eastern Economic Review, 1 September 1988, pp.40-43. ‘Grim reality behind the silver screen’, on the historicity of Bertolucci’s ‘The Last Emperor’, Spectrum, The Sydney Morning Herald, 19 December 1987. ‘Chinese Culture: Unity in Chaos’, Blast (Canberra), no.3 (1987): 22-23. ‘Revolutionary opera arias sung to a new, disco beat’, Far Eastern Economic Review, 5 February 1987, pp.36-38. ‘My Friend the Memory Hole — a comment on living with Deng Xiaoping’s “antibourglib” campaign’, Renditions, 1986 (no.26): 5-6. ‘Bureaucrats and zealots stifle Chinese cinema’, Far Eastern Economic Review, 13 March 1986, pp.40-41. ‘Shi Hui: A Profile’, Chinese Literature (August, 1985): 96-104. ‘Yin Guangzhong and the Gods of Cathay’, Chinese Literature (Autumn 1985): 207-215. ‘A Word for the Imposter — introducing the drama of Sha Yexin’, Renditions Special Issue: Chinese Literature Today, 1983 (nos.19&20): 319-332. ‘A Touch of the Absurd—introducing Gao Xingjian, and his play “The Bus-stop” ‘, Renditions, 1983 (nos.19&20): 373-377, with a translation of a section of Gao’s play on pp.379-86. ‘Culture Clubbed: China Blames the West for “Cultural Pollution”’, The National Times (Sydney), 13-19 January 1984, pp.12-15; Part II, 20-26 January 1984, p.17. ‘The Tragi-Comic Adventures of Ah Q’, Asiaweek, 11 June 1982, p.39. ‘Zhongnanhai: Walled Heart of China’s Kremlin’, Time Magazine [Special: ‘China’s Amazing Half-Century, 50 Places Where History Was Made’], 27 September 1999, pp.40-41. ‘Mao Zedong: The Profit Center’, Asian Wall Street Journal, 26 December 1994. ‘The Censors Can’t Beat the Market’, Asian Wall Street Journal, 20 January 1994. ‘A Gentle Voice of Reason Pierces the Rhetoric’, Human Rights Tribune (New York), vol.II, no.5 (November 1991): 406. ‘Dragon with Two Heads’, Independent Monthly, June 1991, p.30. ‘Filial impieties in China’, Far Eastern Economic Review, 17 January 1991, p.35. ‘A foot in both camps’, Far Eastern Economic Review, 23 August 1990, p.27. ‘From ‘River’ to ‘Road’’, Far Eastern Economic Review, 25 October 1990, p.32. ‘Zhao Ziyang, the Man and the Myth’, The Asian Wall Street Journal, 1-2 June 1990. ‘Where is China Heading?’, The Independent Monthly, May 1990, pp.36-37. ‘A day in the death of China’, Far Eastern Economic Review, 9 November 1989, p.45. ‘Enemy of the people’, Far Eastern Economic Review, 10 August 1989, pp.29-30. ‘Blood offering’, Far Eastern Economic Review, 22 June 1989, pp.37-41. ‘Memory as the enemy of tyranny’, Far Eastern Economic Review, 19 May 1988, pp.47-48. ‘Cultural commissars in the camera’s eye’, Far Eastern Economic Review, 10 March 1988, pp.42-46. ‘Political prisoners hidden in the new era’, Far Eastern Economic Review, 14 January 1988, pp.41-42. ‘Letter of protest opens Chinese eyes’, Far Eastern Economic Review, 2 April 1987. ‘The man who speaks too much, too often’, Far Eastern Economic Review, 22 October 1987, pp.52-53. ‘Nouvelle communism’, Far Eastern Economic Review, 26 November 1987, pp.54-56. Dissenting from Ba Jin, 30 October 2005, reprinted in Danwei, 6 November 2005.